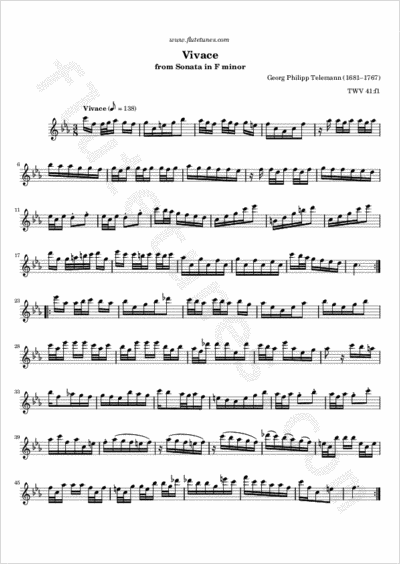 This is the fourth and last movement of Georg Philipp Telemann's Sonata in F minor for bassoon (or recorder) and basso continuo. It's marked “Vivace”, which is Italian for “lively”, so it should be played at a lively tempo. As always, however, remember to play it slowly when you first sight-read it, even if you feel capable of rushing through the whole movement at performance tempo (which is highly unlikely for most people! ).